A blog about Textile Artist Tamsyn Gregory, designwork, home and outings. 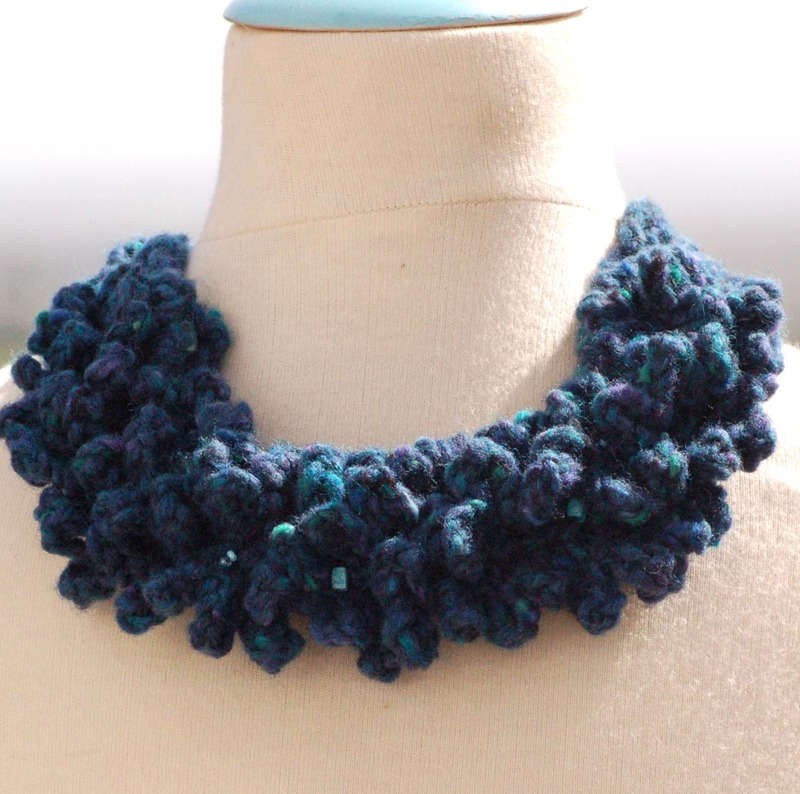 Crochet Necklace inspired by the sea. 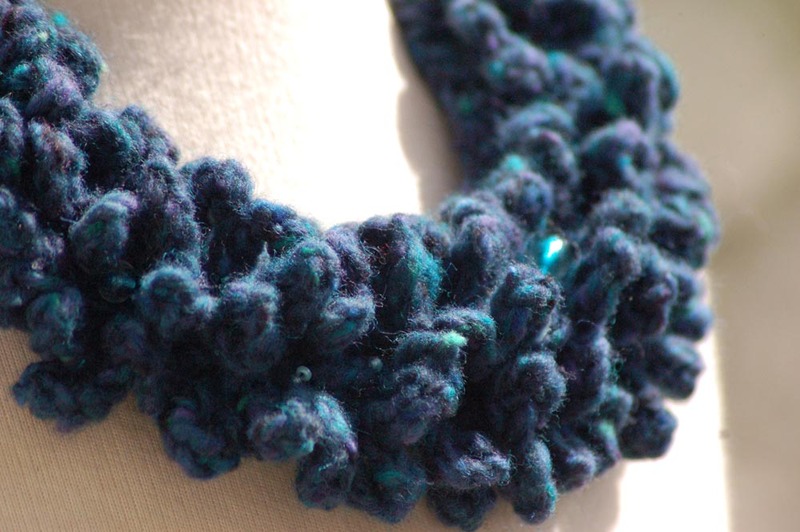 I have been trying out some more textured crochet stitches and using the Rowan Tweed Aran wool. 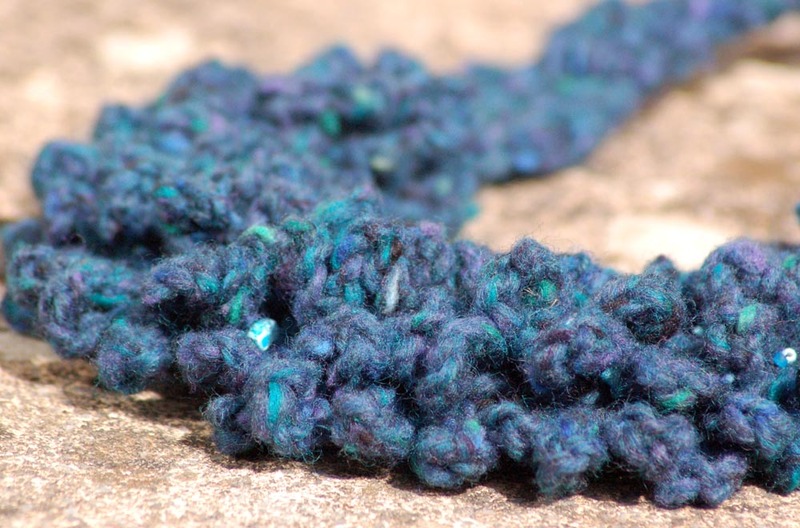 The combination of wavy texture and the blues and greens in the wool remind me of the sea, I have added little beads that catch in the light as the sun would catch sparkle in the water. 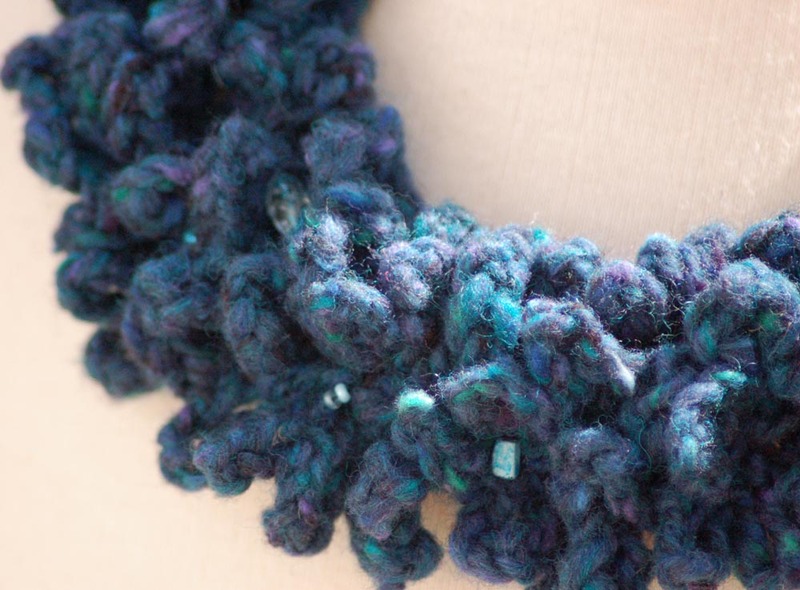 I love the texture of this wool and the bumpiness of the stitch. 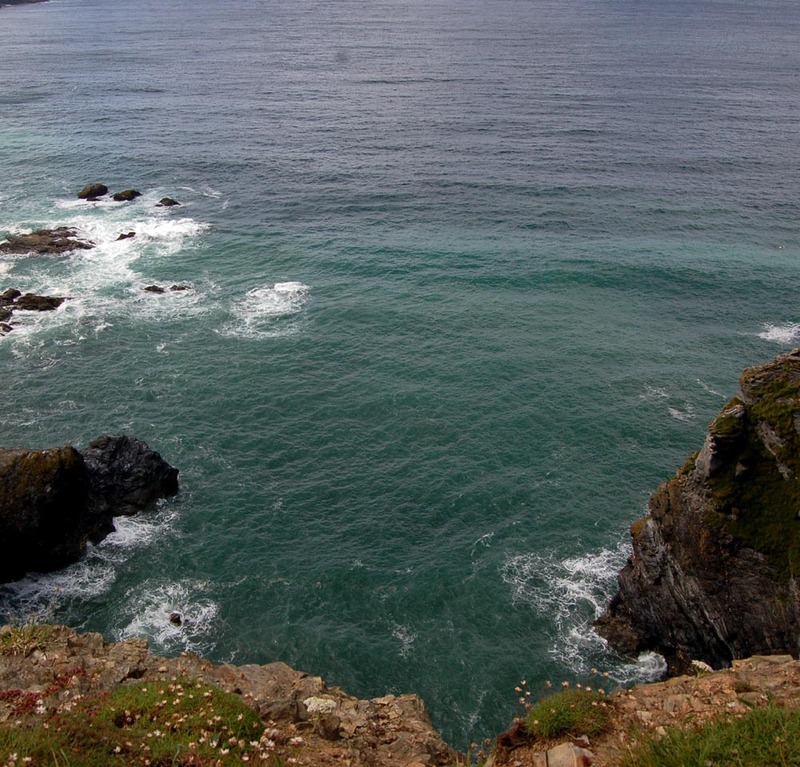 This picture was taken last summer in cornwall, the colour’s are exactly those found in this gorgeous wool. A beautiful summer walk and some crazy coloured sheep. Gathering fruit for jam making. A visit to Toft Alpaca and a colourful talk by Kaffe Fassett. Freeform Crochet Bag and a visit to a Kaffe Fassett Seminar.